Edited by John Beebe and Ernst Falzeder. 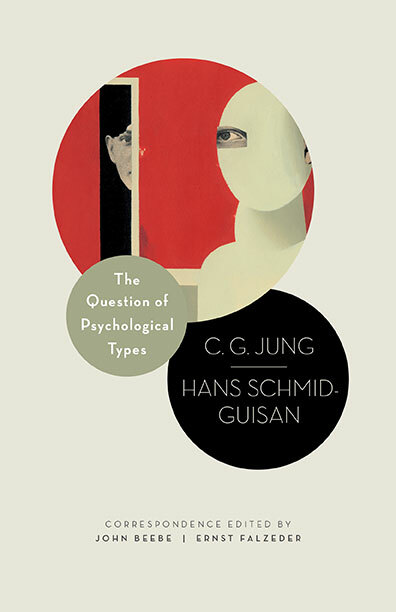 For two years, Jung conducted an extensive theoretical discussion on the question of psychological types with his colleague, Swiss psychiatrist Hans Schmid-Guisan (1881–1932). Schmid first met Jung in 1911, subsequently went to Zürich to study and analyse with Jung and became a member of the Zürich group of the International Psychoanalytical Association. In 1913, he started a psychiatric practice in Basel and was amongst those who sided with Jung when he broke with Freud. Despite sometimes diverging views, they maintained a friendship until Schmid’s early death in 1932. This correspondence shows how Jung’s thinking about the type problem evolved from his original 1913 conception — rigidly linking extraversion to feeling and introversion to thinking — toward the flexible four-function two-attitude model introduced in Psychological Types in 1921, which is the basis of the most widely used paper-and-pencil test of normal personality orientation in the world today, the Myers Briggs Type Indicator. As increasing numbers of type practitioners begin to take the measure of Jung’s insights into psychological typology, it now becomes important to learn how Jung arrived at his conceptions. This correspondence, available in English for the first time, reveals Jung taking up keen theoretical challenges from one of his most sensitive and perceptive colleagues. The introduction by Jungian analyst and type specialist John Beebe and psychologist and historian Ernst Falzeder clarifies the evolution of crucial concepts. The editorial notes shed light on the allusions and arguments in the letters. This volume provides a crucial historical grounding for all those who work with or are interested in Jungian psychology and psychological typology.